I was contracted by Sparksy to work on one of their projects for Flatstick Pub. The project is a pub game that is a mix of Mini Golf and Black Jack. Gameplay is augmented by an on-screen scoreboard and animated score reactions. I was in charge of both the interaction of the user with the screen and the visual feel of the screens themselves. I also created all the animations. The game is like Skee Ball, with mini golf clubs and balls, and rules inspired by Black Jack. My challenge was to convey to the player how to play the game and how the game was progressing on screen. To do this, I created user flows and wireframes before moving on to hi-fi design. At first I had to design while the precise rules of the game were still up in the air. My initial designs geared toward a game style where players took one turn and then switched to the next player. 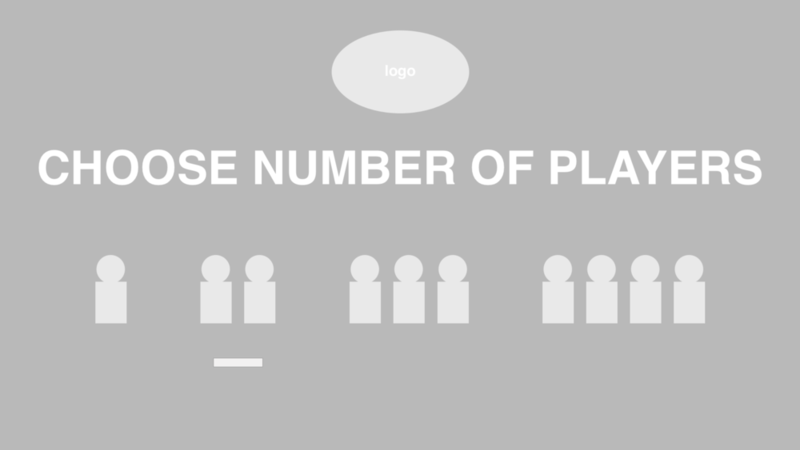 A scoreboard that shows all players at once would be more clear in that case. 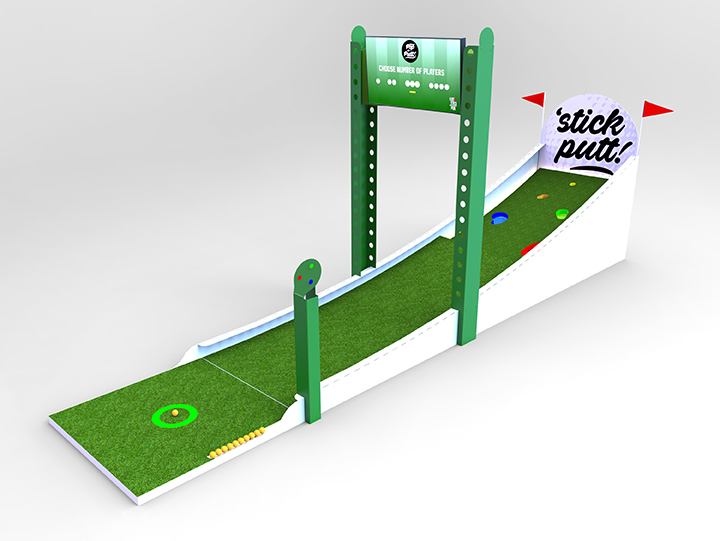 The client decided that each player would putt all ten of their balls at once. 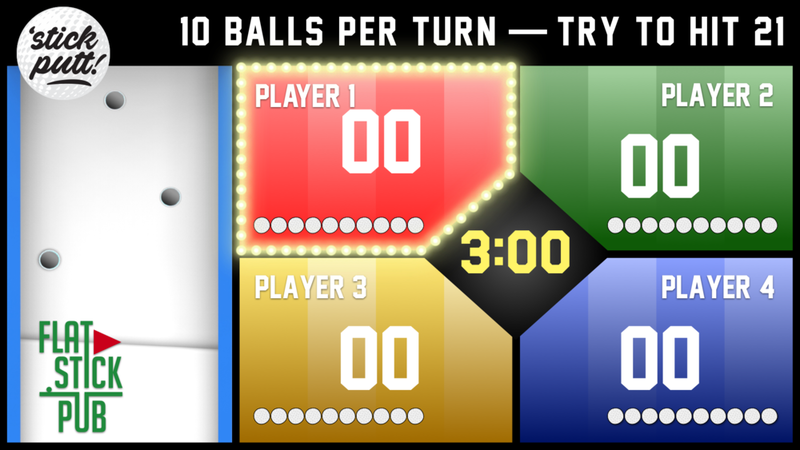 I altered the screens to be focused on each player at a time, with a small score display at the bottom for the other players. This made more sense for this style of gameplay.